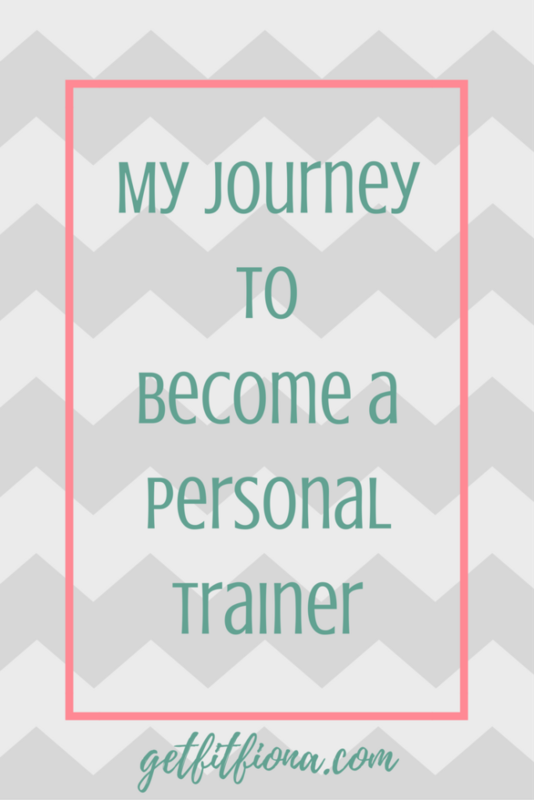 Today I’m sharing the second part of how I became a personal trainer. If you haven’t read it yet, you can check out part 1 here. Be sure to read that post before reading this one – it documents the beginning of my journey in university. I left off part one of this series graduating from the University of Lethbridge. A few weeks after finishing finals I got on a plane to head to Europe for a month with a few friends. We decided on a Contiki tour. (Yes, Contiki has a reputation, which I unfortunately didn’t know about. All the stereotypes were right – at least on my tour. I would have booked something else if I had known what it was like.) Despite that, I still managed to have a ton of fun with my friends. It was so much fun to explore Europe and to get to experience the rich history in 10 or 12 different countries. It was a bit of a whirlwind trip, but I’m so glad I got to see so much. 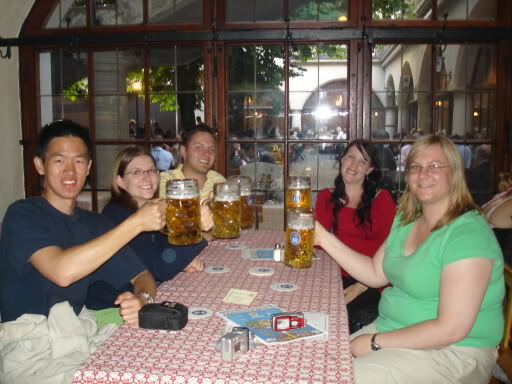 That photo is in Munich where I drank my very first radler! A few days after getting back I went back to U of L for the convocation ceremony, and then it was back to the real world. I had decided before I left for Europe that I wanted to move back to Calgary. Lethbridge felt very small town to me and I wanted to be back in a bigger city. Moving meant leaving behind some good friends who decided to stay in Lethbridge after graduation as well as leaving the gym that I loved. As well as looking for a job, I started looking for a gym that I liked in Calgary. I tried out a few, and even joined one, but I don’t remember going very often. I didn’t feel comfortable there, and I was always making excuses not to go. I really wanted to find a gym that I liked, because I knew from the YWCA in Lethbridge, how much of a stress reliever working out was for me. After a few months I ended up cancelling my membership though because I wasn’t going often enough to justify the money. I ended up finding a job in the addiction/mental health field. I really wanted to like it – I’m so passionate about both those things, but it ended up being a super stressful job. I was front line staff (working with clients), in a completely different environment than I had experienced in either of my internships during university. I dreaded going to work in the mornings and was so relieved when I walked out at the end of my 12 hour shifts. I alternated between working days and nights, so that was also tough. It was my first time working nights, and now I realize that it’s probably not something I can do long term. The whole transitioning to and from nights was really hard on my body. Huge props to people who work nights! I ended up finding another job through someone I knew who owned her own business selling native plants. While it wasn’t what I went to school for, I really enjoyed the work. It was physical so I wasn’t sitting at a desk staring at a computer all day. I was able to be outside. I got to see beautiful plants and flowers throughout the spring and summer. My boss and my co-worker were both such amazing people, I really lucked out being able to work with them. During this time I started eating better. I was watching what I was eating, in addition to portion sizes. No, half a bag of chips is not a serving. I was eating more vegetables in addition to planning out my meals instead of winging it when it came to meal times. I started writing down everything that I ate. Doing that forced me to be honest with myself about what I was eating. Seeing my day of eating in black and white on the page in front of me was shocking. Was it really possible that I was eating that much, day in and day out? I started by making small changes. One of the first was to stop drinking pop. I probably drank one per day in university. I slowly started cutting it out until I wasn’t drinking it at all. Now I only have it a few times a year. I started eating normal serving sizes instead of what I wanted to eat. I also realized that I used food to deal with my emotions. If I was stressed, anxious, depressed, or even happy, I would eat. Clearly this wasn’t the best tactic. During this time I started journaling daily. I’d spend probably 30 or 45 minutes each day writing. I wrote about my relationships with friends, work, stuff I was anxious about, whatever was going on in my life. It was the first time I’d ever journaled consistently. It was a bit surprising to me when I started to use food less to deal with my emotions. By writing down what I was feeling instead of heading straight for food to ignore it, I was eating less. I still have all those journals – probably 10 or 12 of them. Like I said, I wrote a lot. I think I’ll end this part here because this is starting to get long. I’m looking forward to sharing how the positive changes I was making paid off in the next part. Stay tuned!